Dried fruit is an ancient Eastern delicacy, it became popular in Russia because of its delicious taste and beneficial properties. 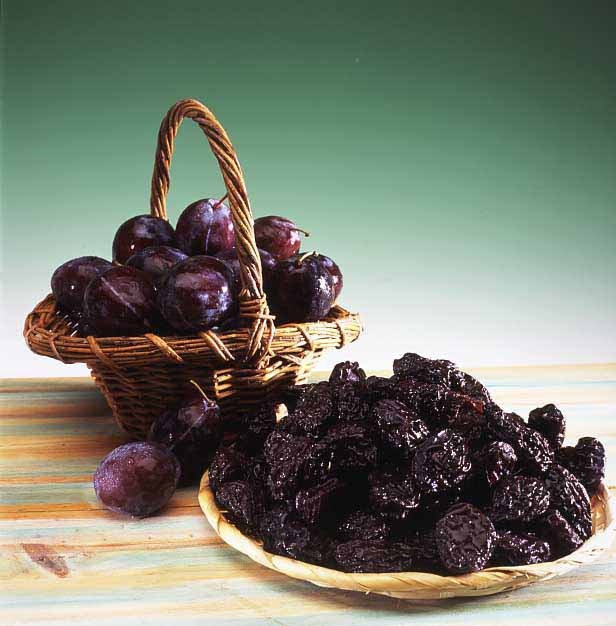 Prunes – a godsend for those who have heart disease or want to lose weight: just eat it with tea instead of sweet. To dry plums at home is not difficult. Take a fresh plum varieties are Stanley, an ordinary Hungarian, Hungarian Italian, Naroch, Kroman, Renklod Altana. Properly wash the fruits in running water. Carefully remove the bones from the large drain. Fine plums can be dried with the pits, but be careful in the future: remove the bone from the finished prunes are not just. Make a solution of baking soda: mix it in the proportions of 15g per litre of water. Heat the solution and drop it into a fresh washed plum. Then remove the fruits, wash in cold water and evenly spread on a baking sheet. Leave the plums to air dry for 1-2 hours. Dried plums, place in a metal sieve or colander and dry in an oven or a hot dryer. Carry out the procedure of cooking the prunes should be in 3 stages. The first phase will take 3-4 hours. Dry the prunes at a temperature of 40-45 degrees. Remove the fruit from the dryer and leave them in air for 3-5 hours. The second stage prunes lasts 4-5 hours. Dry plums in the oven, preheated to a temperature of 55-60 degrees. Then again, refrigerate the fruits in air for 3-5 hours. The third stage completes the drying of prunes. Place the dried fruit in the oven for 12-16 hours while maintaining the temperature at 75-80 degrees. The second method is to dry the prunes at home will require you less effort. Thoroughly rinse the plums and put them in a colander. Prepare the soda solution in proportions of 1 tablespoon per gallon of water. Place the colander with plums in this solution and wait until the liquid starts to boil. Rinse the plums in cold water. Lay them on a baking sheet and dry the most convenient way for you: in the oven at a temperature of 50 degrees or simply in the sun. If you have correctly dried prunes, he should be solid, but solid (i.e., not crumble). Before use, soak the prunes in clean water.